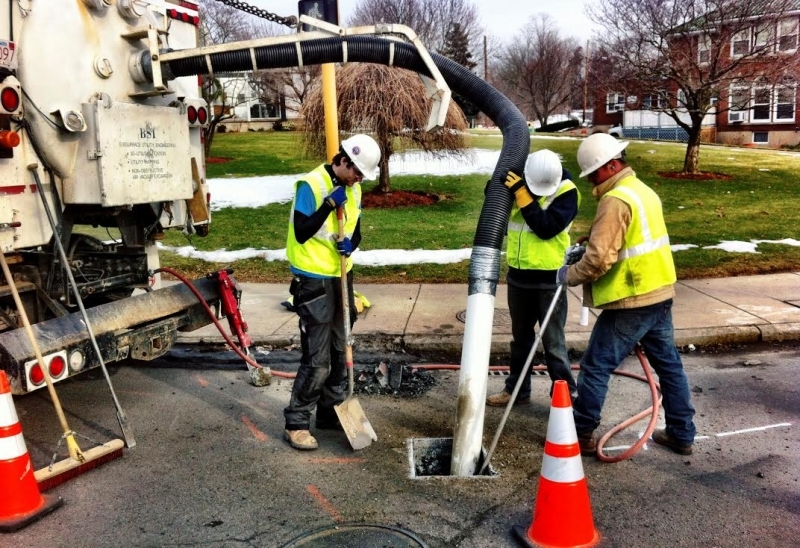 Non-Destructive Air-Vacuum Excavation, also referred to as Quality Level A Utility Locating, is used to determine the exact horizontal and vertical location of an existing utility without the concern for causing damage to the target utility or adjacent utilities. This process involves removing the surface material over approximately a 1’x 1’ to 1’x 2’ area at the electronically designated location. The air-vacuum process utilizes compressed air jets that simultaneously loosen soil while the vacuum extracts the debris, until the target utility is exposed. Non-Destructive Air-Vacuum Excavation can also be performed laterally through the surface opening, if necessary. It can be used at proposed boring locations to excavate below the “utility window” which is typically eight feet. This is useful when the mandated setback from existing utilities cannot be maintained or the location of the utilities is in question. Please contact one of our experienced Project Managers to see whether vacuum excavation is the right choice for your project.